Today we are announcing the ability to add comments to prototypes! Since everyone is pretty familiar with adding comments, we don’t need to go too much in detail :D.
What happens at the end of BETA? Commenting is part of indigodesigned.com, our free prototype hosting service for unlimited number of prototypes. We announced indigodesigned.com a while back, and is the easiest way to share your prototypes in the cloud. Any prototype you share on indigodesigned.com will have support for commenting. We are announcing this as a BETA feature, and as part of this, commenting isclosed by default. If you are the owner of the share, you can open it up for commenting. Naturally, you need to be signed in to do this. Use the comment option from the prototype toolbar when viewing a prototype, and change options to allow new comments. Go to My Shares, and select a prototype to view its details. 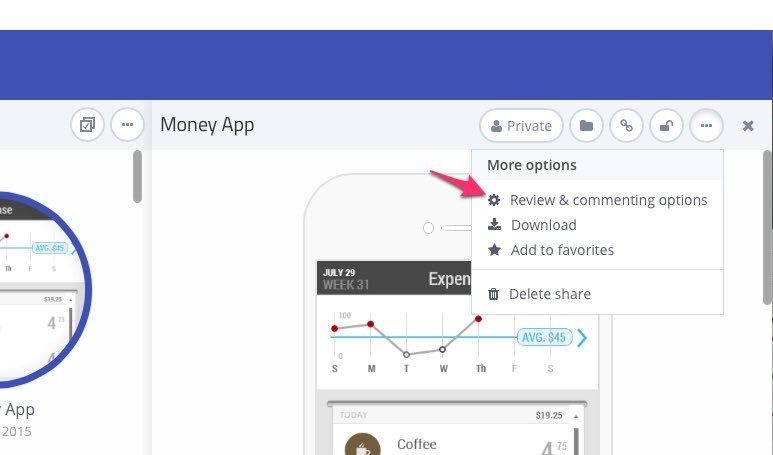 Then edit comment settings under review and comment options. Open for commenting implies that reviewers can view existing comments, and also add new ones.Closed for commenting implies that reviewers can view existing comments, but new comments are NOT allowed. Commenting is only supported for private shares, and not for prototypes set as visible to the community. 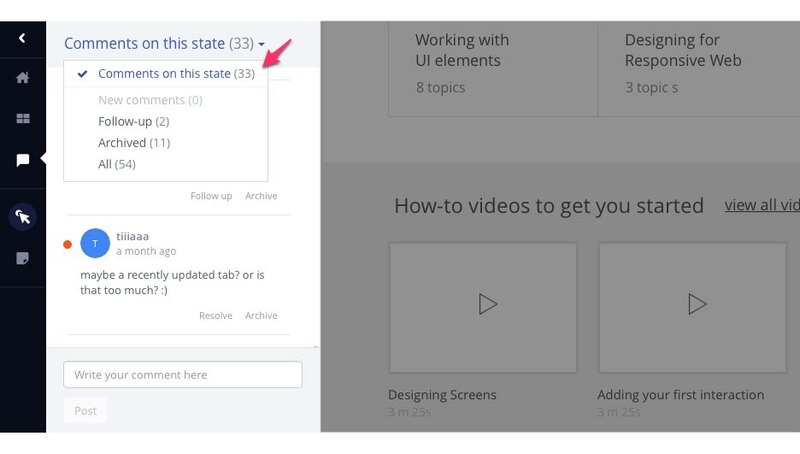 Comments are shown in a side-bar as opposed to on top of the prototype. This way, you can read and add comments without interfering with the navigation. Comments are also unique to each UI state. As the owner of the prototype, you have the ability to mark comments for follow-up or archive previous comments. Once you do this, you can use the filter in the comment sidebar to jump to those comments. Reviewers (not the owner) can delete their comments, but you have short time window for deleting. The main idea is to support whoops-I-did-not-mean-that scenario. When any of your shares have a new comment, you will see the comment count on indigodesigned.com, under My Shares. 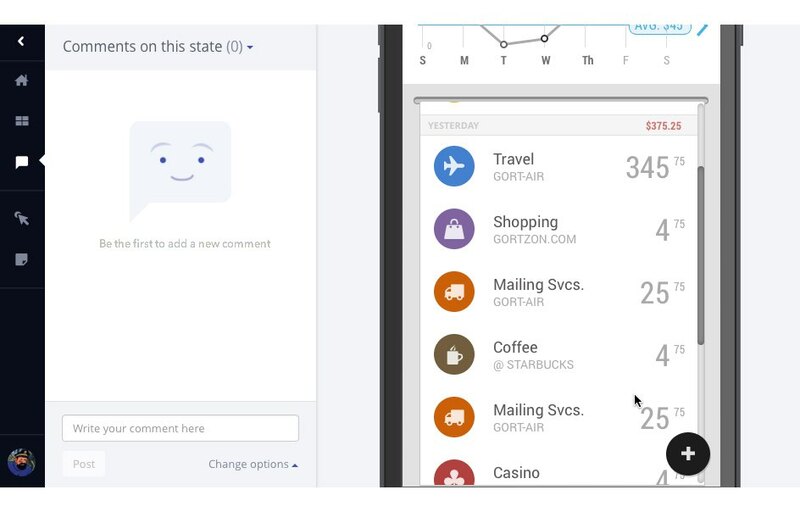 Email notifications:Anyone you share the prototype link with can subscribe to receive email notifications when new comments are added to the share. Real time comments:As the name suggests, you will get notified when new comments are added without requiring you to refresh the prototype. Adding comment markers: You will be able to drop a marker to visually connect a comment with the UI/prototype. Enable comments when sharing: This will allow you to edit commenting option when you create a new share from Indigo Studio application. 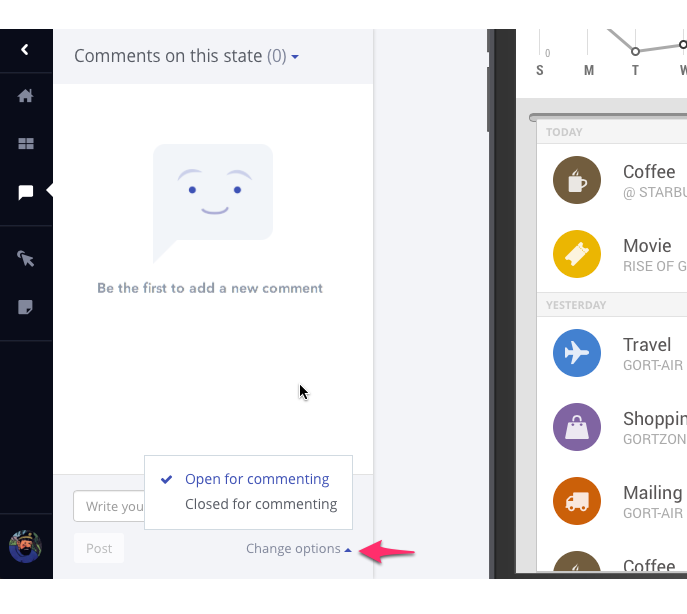 If you have enabled comments for any prototype during the BETA period, you can continue to use commenting for those prototypes even after the BETA ends. At the end of BETA, you will need to own the latest version of Indigo Studio to enable commenting for any additional prototypes. We announced indigodesigned.com a while back, and is the easiest way to share your prototypes in the cloud. 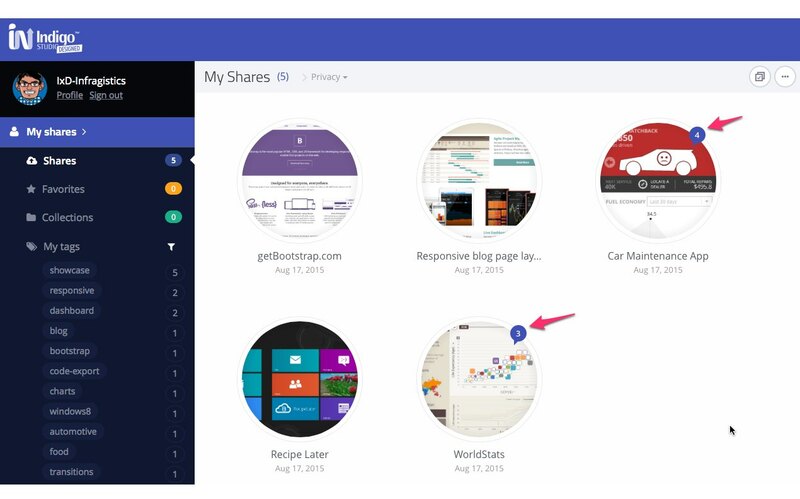 When you share from Indigo studio desktop application, you get a private link (URL) to access your prototype. You can send this link to an unlimited number of reviewers, and they can access the prototype using any modern web-browser.